Clinical Manager - $10,000 Sign On Bonus in Blue Ridge, GAVisit us at www.amedisys.com/careers & key in Job Number: 19002524What You Will Do:As a clinical manager for Amedisys, you will report directly to the operational leader and serve as a key member of care center operations and management team by leading a full team of multidiscipline, healthcare professionals. Your work would include responsibilities as a clinical supervisor and manager as well as responsibility to coordinate, provide and maintain the highest standards of care. You may occasionally provide one on one nursing care and treatment to patients in the home, and when required, may fulfill role as Agency Supervising Nurse. • Manages and coordinates the provision of quality home care services to patients from admission to discharge. • Participates with the physician, referral sources, Clinical/Branch Director and professional staff in decisions regarding patient eligibility and suitability for home care services.• Evaluates, and regularly re-evaluates the needs of the patient; initiates, develops, implements and makes necessary revisions to the patient’s plan of care. Assesses the patient’s continual care needs.• Works cooperatively with the operational leader on staffing, referral sources, physician and client concerns/needs.• Assists with and coordinates training of appropriate staff and conducts performance evaluations of team to ensure quality care, compliance, and fiscal responsibility.• Coordinates regular case/team conferences and promotes communication of information relevant to the patient care process to ensure quality of care and coordination of services.• Participates in agency quality assurance activities designed to improve quality and continuity of patient care• Applies knowledge of Federal/State rules and regulations, ACHC standards, and other regulatory requirements to ensure compliance and quality standards for the patients.Required:• Current and unencumbered license to practice as a Registered Nurse specific to that state the employee is assigned to work by the Company.• Minimum of three (3) years of clinical experience as a registered nurse (RN). One of those years must consist of full-time experience in providing direct patient care in the home health setting*• Current CPR certification. • Valid Driver’s License and reliable transportation and agency required liability insurance. *some states have specific requirements related to education and experience beyond the listed general requirement Preferred:• Bachelor of Science in Nursing (BSN) degree• More than one (1) year supervisory/management experience in home care• ICD10 certification• Oasis certification• Financial management experience Unique clinical environment: Lead a clinical team with varied expertise to care for patients one on one and in their most preferred environment – at home. Culture of teamwork: Lead, promote and support a multi-disciplinary team while serving an essential role on the operations management team Ongoing support: Continuing education and training, tuition assistance, technology and more Advancement:Goal planning and opportunities to develop skills for higher level positions Clinical distinction: High-level clinical services with outstanding outcomes Healthcare leader:Progressive, stable company with 30 years of experience in delivering care at home If you’re looking for a home where you can put your skills and experience to work, make a difference every day and pursue your goals for the future, join our team. What You Will Do:Responsible for the supervision, management, coordination and provision of quality patient care while demonstrating fiscal responsibility and maintaining the highest standards of care and ensuring compliance with all policies, procedures, and regulatory requirements. Accountable for measuring, monitoring, and managing quality of patient care, achievement of key performance indicators and organizational clinical performance. Participates in interviewing and hiring of clinical staff and responsible for management/development of the clinical staff. Assist other disciplines in coordinating activities when necessary, assuming responsibility for continuity, appropriateness and quality of services delivered.•Develops, plans, implements, analyzes and organizes clinical operations for the care center.•Reviews requests for services and determines patient eligibility and suitability for home care services. Works with intake in coordinating patient referrals and admissions. •Oversees scheduling activities to ensure patient needs are met. Reviews assignments as appropriate with the patient services coordinator and professional and support staff.•Oversees payor verification and pre-certification requirements. Communicates with payors and their representatives with updates and responds to requests for information.•Responsible for review of documentation of other staff members including the Oasis data collection, starts of care, re-certification, physician orders, daily progress notes and other related documents ensuring appropriateness of care, delivery and documentation requirements are met. Ensures missing, incomplete and/or untimely documentation issues are resolved. •Oversees and assists clinicians in establishing immediate and long-term patient goals, setting priorities and developing Plan of Care (POC). Responsible to oversee the management and delivery of patient care, including utilization management, episode management and patient outcomes. Oversees the assignment of the appropriate clinical pathways and implementation of the plan of care and physicians’ orders for patients.•Oversees clinicians in the provision of care and services requiring substantial and specialized professional skills set (per applicable discipline practice act and standards of practice) and in accordance with the plan of care signed by the physician.•Oversees the professional staff to ensure timely communication of changes in the patient condition to the physician and receipt of necessary changes in orders. Ensures communication of changes in the plan of care to the appropriate staff.•Evaluates, and regularly re-evaluates the needs of the patient; initiates, develops, implements and makes necessary revisions to the patient’s plan of care in collaboration with the clinicians providing care. •Leads regular patient care conferences and promotes coordination and communication of information relevant to the care of the patient to ensure quality of care.•May provide direct patient care on an infrequent basis and only in times of emergency.•Participates in on call process, including admin on call, preparing on call schedule, supports the on-call process. •Participates in agency quality assurance activities designed to improve quality and continuity of patient care. Performs chart audits and other activities of data collection.•Responds to Additional Documentation Requests/Denials as directed by the regulatory affairs department.•Participates in the interviewing, hiring, training and development of clinical employees and patient services coordinator.•Assists with and coordinates training of appropriate staff to ensure quality care, compliance, and fiscal responsibility.•Instructs and guides clinicians to promote effective performance and delivery of quality home care services and is always available during operating hours to assist clinicians as appropriate.•Monitors and evaluates employee performance, including through on-site evaluations. Holds employees accountable for the attainment of defined goals and objectives. Executes effective performance redirection and corrective action when needed. Develops employees through coaching, mentoring, and formal/on the job training and development opportunities. •Works cooperatively with the Director of Operations on addressing staffing, referral sources, physician and client concerns/needs. Documents incidents or errors involving schedule problems and/or any other concern as appropriate.•Participates in the investigation and resolution of patient/family/physician concerns.•Partners with operations and business development staff in meeting budgeted admission goals. Participates in sales and marketing initiatives.•May function as Agency Administrator.•Performs other related duties as assigned or requested.Qualifications: Required:•Associate or Bachelor’s degree in Nursing.•Current, unencumbered license to practice as a Registered Nurse specific to that state the employee is assigned to work by the company. •One (1+) year of RN experience in a Home Health or Hospice environment. •Current CPR certification. Preferred:•Bachelor’s degree in Nursing.•One (1+) years of supervisory and/or management experience as a Registered Nurse in a healthcare environment. •Psychiatric Registered Nurse - Full Time | Cartersville, GA | 18008662 Current and unencumbered license to practice as a Registered Nurse specific to that state the employee is assigned to work by the Company.• Minimum of one (1) year of clinical experience as a registered nurse• A registered nurse must meet one of the following to meet CMS requirements for psychiatric nursing in the home care setting: a. Master’s degree in psychiatric or mental health nursing b. Bachelor’s degree in nursing with one year recent nursing experience in an active treatment unit in a psychiatric or mental health hospital or outpatient clinic c. Diploma or associate’s degree with two years recent nursing experience in an active treatment unit in a psychiatric or mental health hospital or outpatient clinic. • Current CPR certification • Current driver’s license, agency-required automobile liability insurance, and availability of personal, dependable transportation to conduct home visits. Preferred:• National certification in field of expertise (mental health/psychiatric nursing)• Experience as a registered nurse with the adult population in a medical – surgical environment• Previous home health or hospice experienceWhat You Will Do:As a psychiatric registered nurse and behavioral health nurse in home health, you have a unique opportunity to provide one on one, psychiatric/behavioral health and skilled nursing care and treatment to patients in their home. Your primary work will include collaboration with mental health professionals including psychiatrists and psychologists to create a home care plan supporting an individual and their caregivers coping with dementia, Alzheimer’s, schizophrenia, anxiety, grief, depression and other psychiatric conditions and within the home setting. • Evaluates and assesses the medical, cognitive, emotional, psychosocial, safety, developmental status, and behavioral health/psychiatric nursing needs of the patient to determine the appropriateness of care and criteria for acceptance to behavioral health/psychiatric home health care.• Evaluates the patient’s management and compliance with the medical and psychiatric plan of care and communicates closely with the physician, interdisciplinary team, agencies and institutions for continuity of care regarding patient’s progress.• Acts as a case manager in coordinating care for the behavioral health/psychiatric patient. Regularly reviews treatment planning under the direction of a physician or psychiatrist which includes nursing actions and interventions, goals and discharge summaries.• Administers IM medications, performs lab draws and specimen collections, and educates patient and caregiver in appropriate medical techniques. Performs other nursing treatment to include medical care in accordance to the plan of care. Clinical Manager - Clayton, GA. Currently offering a 10K Sign on BonusWhat You Will Do:As a clinical manager for Amedisys, you will report directly to the operational leader and serve as a key member of care center operations and management team by leading a full team of multidiscipline, healthcare professionals. Your work would include responsibilities as a clinical supervisor and manager as well as responsibility to coordinate, provide and maintain the highest standards of care. You may occasionally provide one on one nursing care and treatment to patients in the home, and when required, may fulfill role as Agency Supervising Nurse. • Manages and coordinates the provision of quality home care services to patients from admission to discharge. • Participates with the physician, referral sources, Clinical/Branch Director and professional staff in decisions regarding patient eligibility and suitability for home care services.• Evaluates, and regularly re-evaluates the needs of the patient; initiates, develops, implements and makes necessary revisions to the patient’s plan of care. Assesses the patient’s continual care needs.• Works cooperatively with the operational leader on staffing, referral sources, physician and client concerns/needs.• Assists with and coordinates training of appropriate staff and conducts performance evaluations of team to ensure quality care, compliance, and fiscal responsibility.• Coordinates regular case/team conferences and promotes communication of information relevant to the patient care process to ensure quality of care and coordination of services.• Participates in agency quality assurance activities designed to improve quality and continuity of patient care• Applies knowledge of Federal/State rules and regulations, ACHC standards, and other regulatory requirements to ensure compliance and quality standards for the patients.Required:• Current and unencumbered license to practice as a Registered Nurse specific to that state the employee is assigned to work by the Company.• Minimum of three (3) years of clinical experience as a registered nurse (RN). One of those years must consist of full-time experience in providing direct patient care in the home health setting*• Current CPR certification. • Valid Driver’s License and reliable transportation and agency required liability insurance. *some states have specific requirements related to education and experience beyond the listed general requirement Preferred:• Bachelor of Science in Nursing (BSN) degree• More than one (1) year supervisory/management experience in home care• ICD10 certification• Oasis certification• Financial management experience Why Join the Amedisys Family? Currently offering a 10K Sign on BonusWe are a growing company that values and rewards our team members, recognizes your special skills and experience and offers opportunities for growth. Join more than 14,000 team members who help change lives every day and share a mission of delivering high quality home health, hospice and private duty care at home. Unique clinical environment: Lead a clinical team with varied expertise to care for patients one on one and in their most preferred environment – at homeCulture of teamwork: Lead, promote and support a multi-disciplinary team while serving an essential role on the operations management team Ongoing support: Continuing education and training, tuition assistance, technology and more Advancement:Goal planning and opportunities to develop skills for higher level positions Clinical distinction: High-level clinical services with outstanding outcomes Healthcare leader:Progressive, stable company with 30 years of experience in delivering care at homeIf you’re looking for a home where you can put your skills and experience to work, make a difference every day and pursue your goals for the future, join our team. Clinical Manager What You Will Do:As a clinical manager for Amedisys, you will report directly to the operational leader and serve as a key member of care center operations and management team by leading a full team of multidiscipline, healthcare professionals. Your work would include responsibilities as a clinical supervisor and manager as well as responsibility to coordinate, provide and maintain the highest standards of care. You may occasionally provide one on one nursing care and treatment to patients in the home, and when required, may fulfill role as Agency Supervising Nurse. • Manages and coordinates the provision of quality home care services to patients from admission to discharge. • Participates with the physician, referral sources, Clinical/Branch Director and professional staff in decisions regarding patient eligibility and suitability for home care services.• Evaluates, and regularly re-evaluates the needs of the patient; initiates, develops, implements and makes necessary revisions to the patient’s plan of care. Assesses the patient’s continual care needs.• Works cooperatively with the operational leader on staffing, referral sources, physician and client concerns/needs.• Assists with and coordinates training of appropriate staff and conducts performance evaluations of team to ensure quality care, compliance, and fiscal responsibility.• Coordinates regular case/team conferences and promotes communication of information relevant to the patient care process to ensure quality of care and coordination of services.• Participates in agency quality assurance activities designed to improve quality and continuity of patient care• Applies knowledge of Federal/State rules and regulations, ACHC standards, and other regulatory requirements to ensure compliance and quality standards for the patients.Required:• Current and unencumbered license to practice as a Registered Nurse specific to that state the employee is assigned to work by the Company.• Minimum of three (3) years of clinical experience as a registered nurse (RN). One of those years must consist of full-time experience in providing direct patient care in the home health setting*• Current CPR certification. • Valid Driver’s License and reliable transportation and agency required liability insurance. *some states have specific requirements related to education and experience beyond the listed general requirement Preferred:• Bachelor of Science in Nursing (BSN) degree• More than one (1) year supervisory/management experience in home care• ICD10 certification• Oasis certification• Financial management experience Unique clinical environment: Lead a clinical team with varied expertise to care for patients one on one and in their most preferred environment – at home. Culture of teamwork: Lead, promote and support a multi-disciplinary team while serving an essential role on the operations management team Ongoing support: Continuing education and training, tuition assistance, technology and more Advancement:Goal planning and opportunities to develop skills for higher level positions Clinical distinction: High-level clinical services with outstanding outcomes Healthcare leader:Progressive, stable company with 30 years of experience in delivering care at home If you’re looking for a home where you can put your skills and experience to work, make a difference every day and pursue your goals for the future, join our team. What You Will Do:As a clinical manager for Amedisys, you will report directly to the operational leader and serve as a key member of care center operations and management team by leading a full team of multidiscipline, healthcare professionals. Your work would include responsibilities as a clinical supervisor and manager as well as responsibility to coordinate, provide and maintain the highest standards of care. You may occasionally provide one on one nursing care and treatment to patients in the home, and when required, may fulfill role as Agency Supervising Nurse. • Manages and coordinates the provision of quality home care services to patients from admission to discharge. • Participates with the physician, referral sources, Clinical/Branch Director and professional staff in decisions regarding patient eligibility and suitability for home care services.• Evaluates, and regularly re-evaluates the needs of the patient; initiates, develops, implements and makes necessary revisions to the patient’s plan of care. Assesses the patient’s continual care needs.• Works cooperatively with the operational leader on staffing, referral sources, physician and client concerns/needs.• Assists with and coordinates training of appropriate staff and conducts performance evaluations of team to ensure quality care, compliance, and fiscal responsibility.• Coordinates regular case/team conferences and promotes communication of information relevant to the patient care process to ensure quality of care and coordination of services.• Participates in agency quality assurance activities designed to improve quality and continuity of patient care• Applies knowledge of Federal/State rules and regulations, ACHC standards, and other regulatory requirements to ensure compliance and quality standards for the patients.Required:• Current and unencumbered license to practice as a Registered Nurse specific to that state the employee is assigned to work by the Company.• Minimum of three (3) years of clinical experience as a registered nurse (RN). One of those years must consist of full-time experience in providing direct patient care in the home health setting*• Current CPR certification. • Valid Driver’s License and reliable transportation and agency required liability insurance. *some states have specific requirements related to education and experience beyond the listed general requirement Preferred:• Bachelor of Science in Nursing (BSN) degree• More than one (1) year supervisory/management experience in home care• ICD10 certification• Oasis certification• Financial management experience Unique clinical environment: Lead a clinical team with varied expertise to care for patients one on one and in their most preferred environment – at home.Culture of teamwork: Lead, promote and support a multi-disciplinary team while serving an essential role on the operations management teamOngoing support: Continuing education and training, tuition assistance, technology and moreAdvancement:Goal planning and opportunities to develop skills for higher level positionsClinical distinction: High-level clinical services with outstanding outcomesHealthcare leader:Progressive, stable company with 30 years of experience in delivering care at home If you’re looking for a home where you can put your skills and experience to work, make a difference every day and pursue your goals for the future, join our team. 19002303 | Rome, GA | Full-timeWhat You Will Do: As a home health nurse with Amedisys, you will provide one on one skilled nursing care and treatment to patients in their home using a comprehensive and patient specific care plan, innovative solutions, and a preferred technology for point of care documentation. You will have the opportunity to spend quality time with the patient, in their own home, to promote their health and independence. You will have autonomy in addition to the support and collaboration of a full team of healthcare professionals. • Collaborate with physicians, patients and their families, nurses, therapists, social workers and other members of the patient care team to develop a patient specific care and treatment plan • Cooperatively utilize varied solutions to educate and promote the health and independence of the patient• Assess, monitor, document and report progress of patient's health and condition using required documents, reports and established timelines• Provide supervision and evaluation of aides and licensed practical nurses/licensed vocational nursesRequired:• Current and unencumbered license to practice as a Registered Nurse specific to that state the employee is assigned to work by the Company.• Minimum of one (1) year of experience as a registered nurse• Current CPR certification• Valid Driver’s License and reliable transportation and agency required liability insurance to complete home visits. Preferred:• Bachelor of Science in Nursing (BSN) degree• Acute care experience as a registered nurse with the adult population in a medical – surgical environment• Previous home health or hospice experienceWhy Join the Amedisys Family? We are a growing company that values and rewards our team members, recognizes your special skills and experience and offers opportunities for growth. Join more than 14,000 team members who help change lives every day and share a mission of delivering high quality home health, hospice and private duty care at home. Unique clinical environment: Care for patients one-on-one in home environment with flexibility in scheduling Culture of teamwork: Shine on your own, with the support of a multi-disciplinary team Ongoing support: Continuing education and training, tuition assistance, technology and more Advancement:Professional development to build skills and opportunities to advance Healthcare leader:Progressive, stable company with 30 years of experience in delivering care at home and commitment to clinical excellence If you’re looking for a home where you can put your skills and experience to work, make a difference every day and pursue your goals for the future, join our team. Clinical Manager in Milledgeville, GA-$10,000 Sign-on Bonus! Clinical Manager What You Will Do:As a clinical manager for Amedisys, you will report directly to the operational leader and serve as a key member of care center operations and management team by leading a full team of multidiscipline, healthcare professionals. Your work would include responsibilities as a clinical supervisor and manager as well as responsibility to coordinate, provide and maintain the highest standards of care. You may occasionally provide one on one nursing care and treatment to patients in the home, and when required, may fulfill role as Agency Supervising Nurse. • Manages and coordinates the provision of quality home care services to patients from admission to discharge. • Participates with the physician, referral sources, Clinical/Branch Director and professional staff in decisions regarding patient eligibility and suitability for home care services.• Evaluates, and regularly re-evaluates the needs of the patient; initiates, develops, implements and makes necessary revisions to the patient’s plan of care. Assesses the patient’s continual care needs.• Works cooperatively with the operational leader on staffing, referral sources, physician and client concerns/needs.• Assists with and coordinates training of appropriate staff and conducts performance evaluations of team to ensure quality care, compliance, and fiscal responsibility.• Coordinates regular case/team conferences and promotes communication of information relevant to the patient care process to ensure quality of care and coordination of services.• Participates in agency quality assurance activities designed to improve quality and continuity of patient care• Applies knowledge of Federal/State rules and regulations, ACHC standards, and other regulatory requirements to ensure compliance and quality standards for the patients.Required:• Current and unencumbered license to practice as a Registered Nurse specific to that state the employee is assigned to work by the Company.• Minimum of three (3) years of clinical experience as a registered nurse (RN). One of those years must consist of full-time experience in providing direct patient care in the home health setting*• Current CPR certification. • Valid Driver’s License and reliable transportation and agency required liability insurance. *some states have specific requirements related to education and experience beyond the listed general requirement Preferred:• Bachelor of Science in Nursing (BSN) degree• More than one (1) year supervisory/management experience in home care• ICD10 certification• Oasis certification• Financial management experience Unique clinical environment: Lead a clinical team with varied expertise to care for patients one on one and in their most preferred environment – at home. Culture of teamwork: Lead, promote and support a multi-disciplinary team while serving an essential role on the operations management teamOngoing support: Continuing education and training, tuition assistance, technology and moreAdvancement:Goal planning and opportunities to develop skills for higher level positionsClinical distinction: High-level clinical services with outstanding outcomesHealthcare leader:Progressive, stable company with 30 years of experience in delivering care at home If you’re looking for a home where you can put your skills and experience to work, make a difference every day and pursue your goals for the future, join our team. Registered Nurse | Balyor | Weekends ( Sign On Bonus) | 19001428What You Will Do: As a home health nurse with Amedisys, you will provide one on one skilled nursing care and treatment to patients in their home using a comprehensive and patient specific care plan, innovative solutions, and a preferred technology for point of care documentation. You will have the opportunity to spend quality time with the patient, in their own home, to promote their health and independence. You will have autonomy in addition to the support and collaboration of a full team of healthcare professionals. • Collaborate with physicians, patients and their families, nurses, therapists, social workers and other members of the patient care team to develop a patient specific care and treatment plan • Cooperatively utilize varied solutions to educate and promote the health and independence of the patient• Assess, monitor, document and report progress of patient's health and condition using required documents, reports and established timelines• Provide supervision and evaluation of aides and licensed practical nurses/licensed vocational nursesRequired:• Current and unencumbered license to practice as a Registered Nurse specific to that state the employee is assigned to work by the Company.• Minimum of one (1) year of experience as a registered nurse• Current CPR certification• Valid Driver’s License and reliable transportation and agency required liability insurance to complete home visits. Preferred:• Bachelor of Science in Nursing (BSN) degree• Acute care experience as a registered nurse with the adult population in a medical – surgical environment• Previous home health or hospice experienceWhy Join the Amedisys Family? We are a growing company that values and rewards our team members, recognizes your special skills and experience and offers opportunities for growth. Join more than 14,000 team members who help change lives every day and share a mission of delivering high quality home health, hospice and private duty care at home. Unique clinical environment: Care for patients one-on-one in home environment with flexibility in scheduling Culture of teamwork: Shine on your own, with the support of a multi-disciplinary team Ongoing support: Continuing education and training, tuition assistance, technology and more Advancement:Professional development to build skills and opportunities to advance Healthcare leader:Progressive, stable company with 30 years of experience in delivering care at home and commitment to clinical excellence If you’re looking for a home where you can put your skills and experience to work, make a difference every day and pursue your goals for the future, join our team. Clinical Manager in Conyers, GA-$10,000 Sign-On Bonus! Clinical Manager in Americus, GA-$10,000 Sign-On Bonus! Welcome to the new GAHHA website! 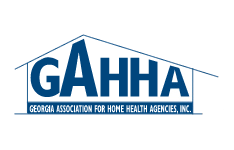 © Georgia Association for Home Health Agencies, Inc.